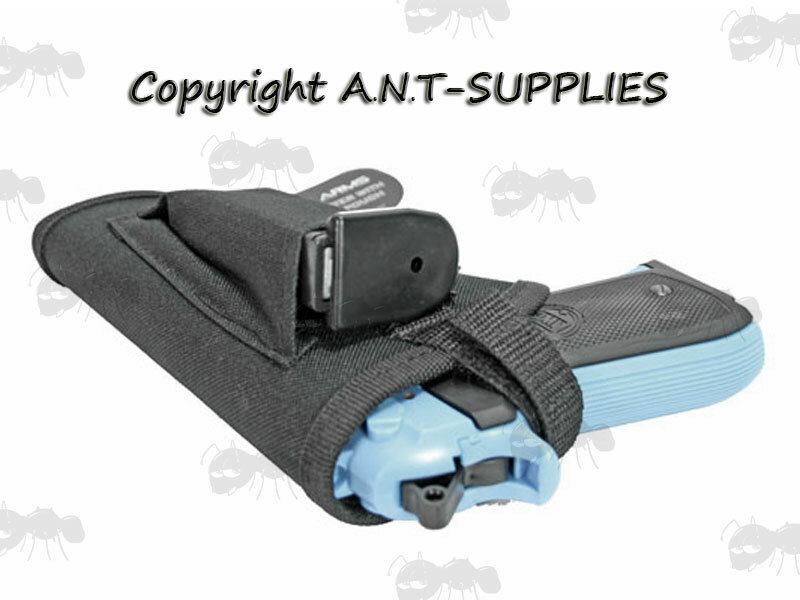 Standard holster with single mag pouch. Tough 600 denier, black cordura nylon with padding. External measurements approx, 7x5 inches (18x12cm). 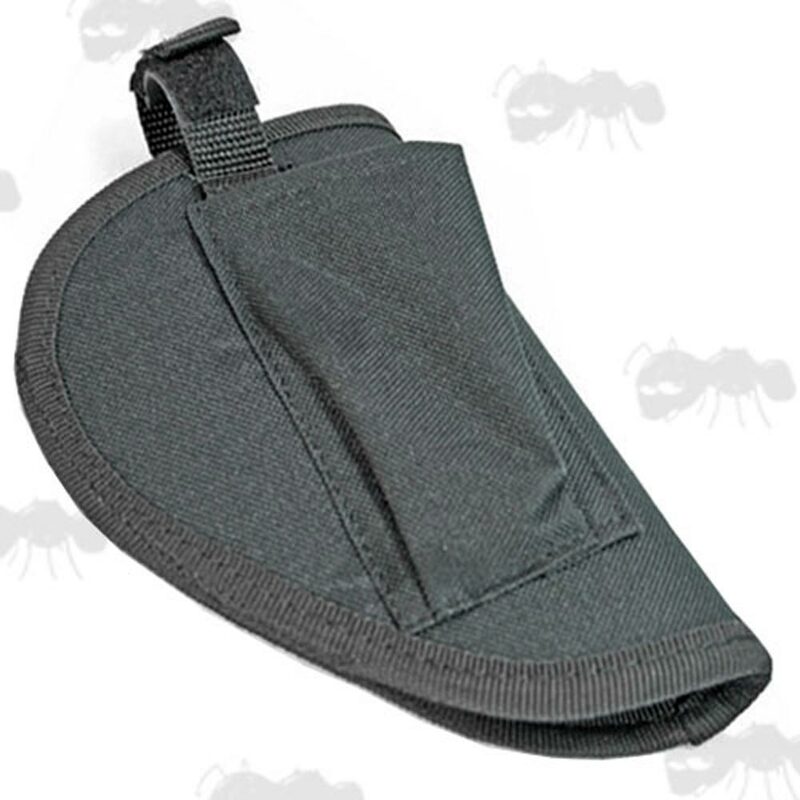 2.25 inches, 60mm wide belt loop. Open ended design for easy cleaning.